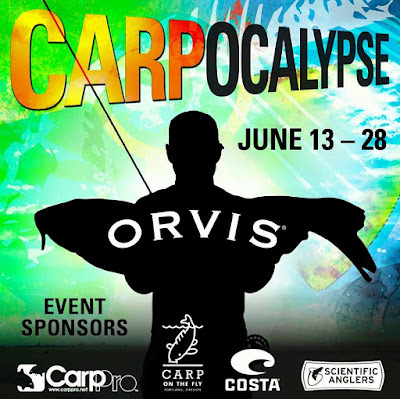 Brian Marz's Fly Fishing Oregon Blog: Carpocalypse is Back For 2015!! Carpocalypse is Back For 2015!! Carpocalypse is back for 2015 and better than ever! Click to sign up for the chance to catch big fish and win cool prizes. Great idea! Carp can put up a great fight!